FatCat Records is based in England, but over the years it has shown a keen eye for talent north of Hadrian's Wall. It's catalog shows releases for The Twilight Sad, We Were Promised Jetpacks, Frightened Rabbit, and PAWS. And now they've scored the right to release the self-titled debut album from Glasgow duo Honeyblood. What Shona McVicar and Stina Tweeddale offer on the album doesn't break new ground. Female-voiced gauzy, sometimes grungy guitar pop also is available from September Girls, La Sera, Frankie Rose, Dum Dum Girls, Best Coast and others. But I think there are several attributes that suggest that Honeyblood deserves a harder look and a chance to be in your music collection. One is that Tweeddale's lead vocals, and the harmony provided by McVicar's contributions, are compelling. Another is that the songwriting is very good, with plenty of punch and plenty of hooks on top of the punch. And then there is that bit of edge to the lyrics and the delivery, that touch of Glasgow hard guy that you could get with, for example, The Shop Assistants, but not from Best Coast. For my taste, a bit of riot girrrl in my current music is a welcome touch. Those familiar with the band's earlier work will find the sound a bit different. The energy and attitude remain, but the increased production budget has brought a cleaner sound. I have no complaint about that development. I serves to better showcase the vocals, Stina's guitar, Shona's drums, and the economical arrangements. Moreover, the clean production doesn't blunt the attitude. Based on the evidence of these songs, the women of Honeyblood are rambunctious and ready to give at least as good as they get. There is a lot of velvet in their voices, but a velvet wrapped hammer is still a hammer. 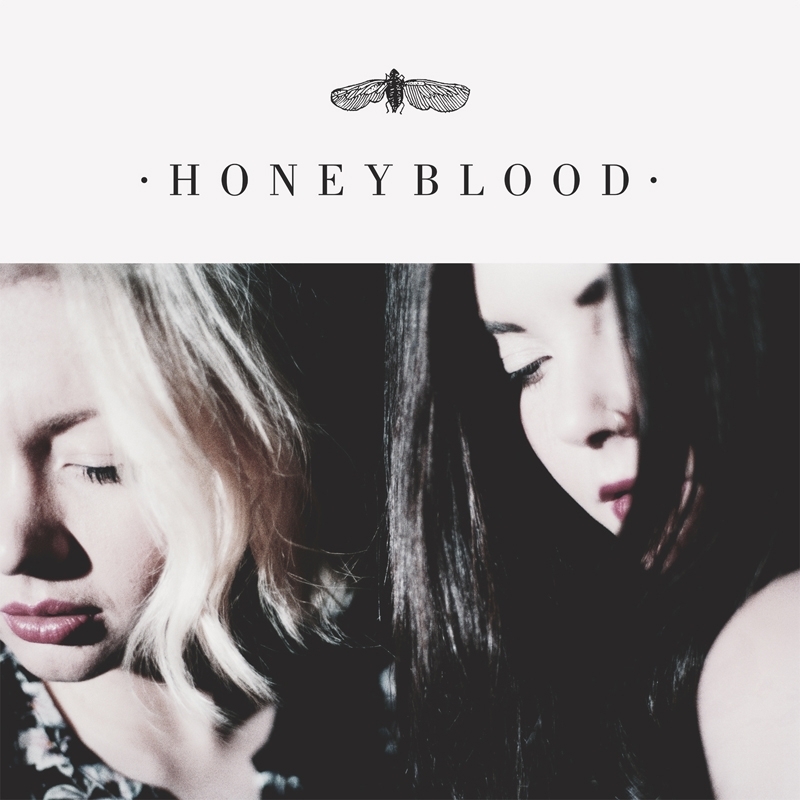 Honeyblood is out now via FatCat Records. The band is playing several shows in the eastern United States in late July, so US fans should check the band's website at the link below. Rolling Stones Friday; 2120 South Michigan Ave.
We're going way back this week, to 1964 and The Stones' 2nd US release 5 x 5. "2120 South Michigan Avenue" is a short instrumental jam, inspired by Chicago blues and R&B, the title being the Chicago address of the business offices and recording studio for Chess Records, home to Muddy Waters, Bo Diddley, Little Walter, Willie Dixon and so many others. The Stones recorded the song there at the Chess studios during their first US tour. For me, the best part is Brian Jones' harmonica playing, simply fantastic. That's Ian Stewart on keyboards, and Keith Richards playing the tremolo guitar riff. 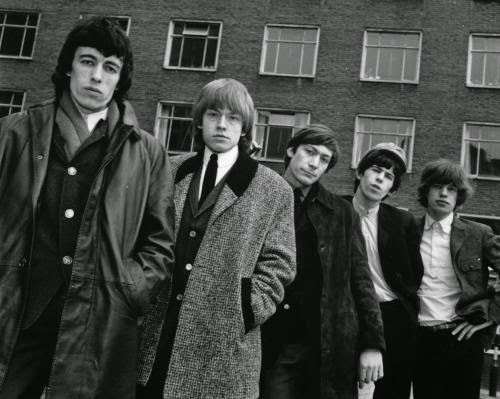 Every band has its influences and the Stones wore theirs right there on their sleeves. Imagine if years ago members of New Zealand's The Bats secretly joined forces with The Byrds in a sunny California hideaway, and spent several days writing and recording. Inspired by their surroundings, the collective produced 14 sunny guitar pop tracks in all of their ragged 'one-take' glory, and then boxed up the results and hid them away to be released in 2014. Of course, that didn't really happen (at least, I don't know that it happened). But Family Crimes from Skygreen Leopards could make you think that it happened. Sun kissed, hazy and lo-fi, it gives me that pleasant blissed-out feeling that I get when I go to a picnic on a sunny summer day and drink a bit too much wine a bit too fast. Suddenly I'm happy and affectionate, albeit not particularly focused. So grab a bottle of chilled pinot gris, a copy of Family Crimes, a blanket or two and some friends. There you have it -- a summer afternoon all sorted out. 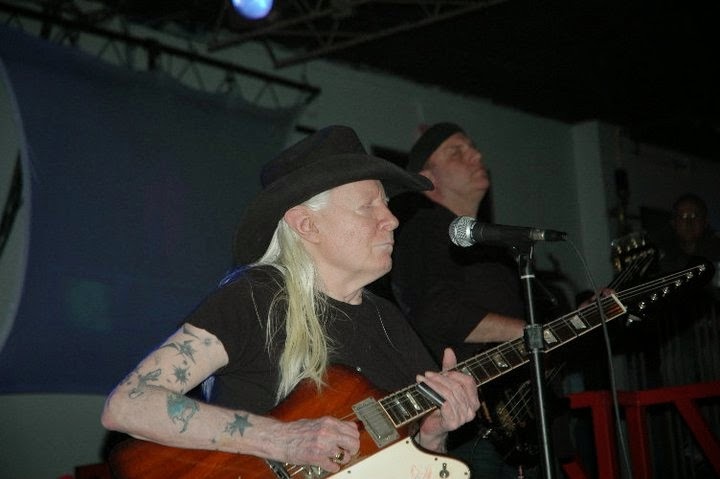 Blue guitarist great Johnny Winter died yesterday in a hotel room in Zurich. I would take every opportunity to see Johnny. The thought in the front of my brain was, "This is probably the last time I will ever see him play." Johnny beat the reaper for decades. Years of alcohol and heroin abuse, from 1980 through 2005,made Johnny a perennial top draft pick in "death pools." Winter resumed his career 2006 after kicking multiple habits. I saw him a couple of years ago at the 35th Reunion for Vegetable Buddies - an iconic midwest music club. Gaunt and frail but still capable letting loose with monster licks. In 1968, Winter signed a contract with a bonus of $600,000 after being "discovered" by Columbia Records executives sitting in with Mike Bloomfield ad Al Kooper at the Fillmore East. The following Spotify playlist is Winter's 1969 major album release. Johnny left his own indelible mark when playing other artist's originals. Everyone has their favorite Bob Dylan cover. My favorite is Johnny's cover of "Highway 61 Revisited' - a version so rousing that i once found myself unintentionally driving over 100mph while lost in his guitar playing. My favorite Johnny memory is from 1981 ChicagoFest on Navy Pier. Muddy Waters was playing the blues stage. I had scored tix on the SS Milwaukee, an old Lake Michigan ferry, 29 feet behind and 20 feet above the stage. It was a humid 90 degree night with the audience packed cheek to jowl. The fist half was classic Muddy and then Johnny walked on stage. Fire up the Enola Gay. It went nuclear. I recently found this recording of the concert. We featured the excellent two-track Distant Drive single from London/Los Angeles project The Luxembourg Signal in late April (link here). Today, we have for you another song, "We Go On", and a reminder that the group will release and album later this year. Save your pennies -- we think it will be good. I doubt that When You Motor Away is alone in its love for a sound that combines garage rock, southern rock, and soul. And a band that does it about as well as anyone around these days is the current iteration of Reigning Sound. Unfamiliar with them? The band is organized around George Cartwright, whose past projects include Detroit Cobras, Deadly Snakes, and The Oblivians. For Shattered, the new album just released on Merge Records, Cartwright, is joined by his longtime collaborator and keyboardist Dave Amels, and Mike Catanese, Benny Trokan, and Mikey Post. Mike, Benny and Mikey all had played with Dave in a soul band called The Jay Vons. The combination of players may be new, but the result, when melded with Cartwright's songwriting, is rock and roll magic. The songs are sincere, emotionally direct and span from roadhouse rock and roll to ballads. As appropriate, the vocals convey world-weary resoluteness and rock and roll swagger. Moreover, the music jumps out of the speakers with a live recording vibrancy, while still leaving no doubt that the band is tight, crisp, polished and punchy. The album opens with "North Cackalacky Girl", a rocking number with organ trills and guitar solos, Cartwright's gritty and velvet tenor and a driving beat. The following "Never Coming Home" (stream below) emerges as one of the standout tracks, the upbeat melody carrying a story of a clear eyed view of a failed relationship. The Reigning Sound soul revue kicks into high gear with the glorious "Falling Rain" (stream below). Soulful, nuanced ballads "If You Gotta Leave" and "Once More" hold tracks four and six, respectively. Those ballads sandwich one of my favorite tracks -- the forward-pushing '60s garage rock nugget "You Did Wrong", which to my ears plays like a lost early Zombies demo. But for me, the best soul rocker on the album is "My My" (stream below), which makes me want to go for a drive with the windows down and the stereo turned up (thank you, Merge, for not releasing this album in the winter). And to give props when due, the bass player absolutely earned his share on this song. I think that the best of the ballads is track eight, "Starting New", as it showcases Cartwright's ability to deliver a note-perfect '70s slow burning soul song. "Baby, It's Too Late" is rousing soul rock. "In My Dreams" is an atmospheric, organ-driven, mid-tempo blues song. Shattered closes with "I'm Trying (To Be the Man You Need"), an absolutely delicious soul ballad. As news of this album trickles out, I expect that it will garner a lot of praise. That praise will be well deserved, and you deserve this album. Check it out. Shattered was recorded at the Daptone studio in Brooklyn. It is out now via Merge Records.